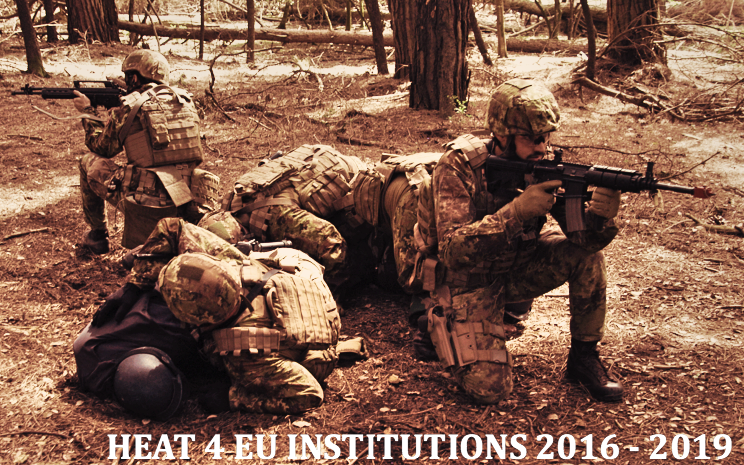 The Scuola Superiore Sant’Anna, in the framework of the Tender EEAS-404-DIVC4-SER-FWC, Hostile Environment Awareness Training, LOT 1 – HEAT 4 days, has been awarded a Multiple Framework Contract in Cascade for Awareness Training to EU staff working in Hostile Environment. The Hostile Environment Awareness Training (HEAT) course for EU Institutions, namely the European External Action Service, the European Commission and the European Parliament, is organised by the Scuola Superiore Sant’Anna in cooperation with the 1st Tuscania Parachute Regiment of the Italian Carabinieri Corps. The objective of the HEAT course is to make available to EU staff traveling or posted to high-risk countries security awareness training which will contribute substantially to the security and safety of those officials on mission in high-risk countries. The course is not open for applications but participants are selected directly by the relevant European Institution.